Manufacturer of a wide range of products which include pp agitator, pedestal type stirrer, msrl pp lined agitator, hdpe / pp pedestal type agitator and anchor type agitator. We are engaged in manufacturing and export of a qualitative assortment of PP Agitator. These are manufactured using quality raw materials and advanced production technology. Our range is energy efficient and made available in varied specifications as per the clients’ requirements. 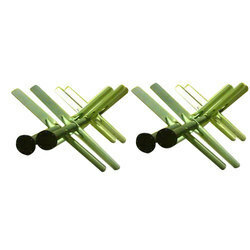 Moreover, we offer these stirrers to our clients at competitive industry prices. Owing to our years of experience in this field, we are offering Pedestal Type Stirrer to the clients. 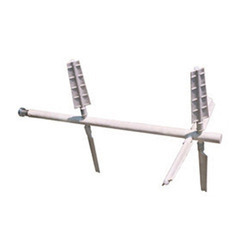 Pedestal Type Stirrer is widely used in various places. Offered range is widely in demand due to long working life. This product is available in varied sizes. This product is known for dimensional accuracy. Offered range is designed by capable professionals, utilizing the best possible quality material which has excellent finish. Offered range is well examined on various quality parameters to warranty quality attributes. We are engaged in offering our clients with a qualitative assortment of MSRL PP Lined Agitator. These are energy efficient and consume less power in its usage. Our range is made available to clients in variegated designs and specifications as per their requirements These Pin Bush Agitators find wide industrial usage and are fabricated using quality materials. Moreover, our range is acclaimed for minimal maintenance and maximum performance attributes. Our clients can avail from us a qualitative range of Pedestal Type Agitators or stirrers. These Pedestal Type Agitators are manufactured using premium grade raw materials and advanced technology. Our range of Pedestal Type Agitators provides optimal mixing solutions and is also manufactured in customized specifications as per the clients’ requirements. These Pedestal Type Agitators are also acclaimed for optimal performance, and minimal power consumption in various Industries. We are engaged in offering our clients with an unmatched range of Anchor Type Agitators. These are technically advanced products and reckoned for innovative features. Our agitators consume less power and offer maximum output. 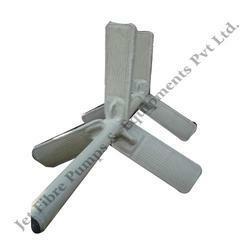 We offer these Anchor Type Agitators in varied specifications. These are widely used in various industrial applications and are made available at highly reasonable prices to the clients. Looking for Industrial Agitator ?